Eco-Friendly Palm Leaf Product is a specialized hand work in producing various kinds of Palm Leaf products. We have been keeping the managing thought of "high quality, innovation, unity enterprising". We supply eco-friendly and environmental protection palm leaf products. 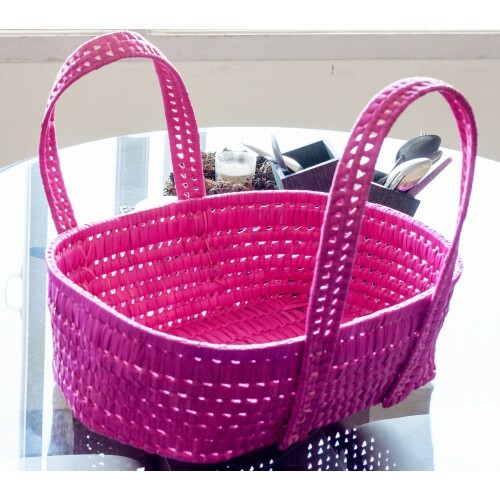 Baby basket are very beautiful and comfortable to carry babies. It is very sturdy so it can carry weights . Can also be used for multipurpose . Colour : Pink colour .